Our local mission is to empower each Realtor Partners to excel in their Real Estate Business while leading a balanced life. 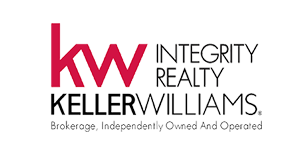 Keller Williams Integrity Realty office was founded in 2003 by Wendy Bell and Theresa Quann-Bakker, both with decades of real estate experience, who joined forces to create a dynamic and powerful office. They saw that there was a need to provide the education, training and support Keller Williams Realty gave its Sales Representatives throughout the city, as well as a better way to reward the hard working Sales Representatives who helped to build the company through its generous profit share program. Keller Williams Integrity Realty has grown from the ground up within Ottawa, our Sales Representatives have unparalleled knowledge of our local real estate market and a deep appreciation for our community. Buying or selling a home does not have to be a stressful process – let us be your guide. The “Interdependent” business model of Keller Williams Realty supports real estate Sales Representatives and Brokers working as a team to maximize results for our buyers and sellers. Knowledge – Powerful curriculum through Keller Williams Realty University keeps our associates ahead of trends, tools and advancements in the real estate industry. Teamwork – Unlike other real estate companies, Keller Williams Realty was designed to reward Sales Representatives for working together, and to serve our clients, You, best. Speed – Leading-edge technology solutions accelerate our associates efficiency and productivity.